The Health Care Logistics Ambidextrous Tablet Counter is designed for counting tablets, caplets, and pills with ease for left or right handed users. 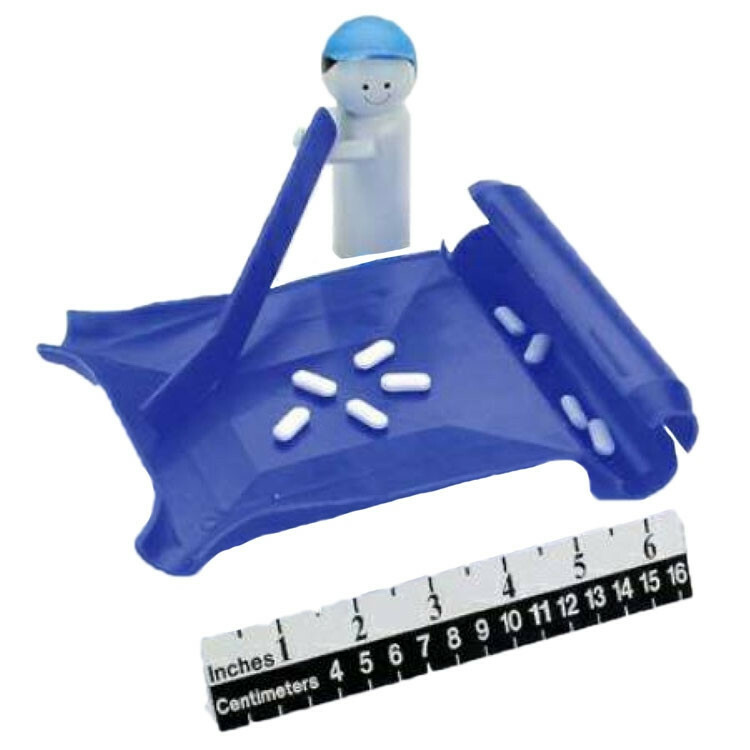 The Health Care Logistics 12261 Left or Right Hand Pill Counter features a curved spatula and a chute with a hinged cover that allows for easy filling. This counter measures 7-7/8 W x 6 H x 1-1/8 D inches, made of durable plastic, and comes in a stylish blue color. In addition to this counter, you may be interested in some of the available pill cutters and crushers.